Are you going to plant flowers, vegetables, or herbs? You should first decide on the type of plants then research your container options. These are all easy to grow in any space. Make a list of everything you want in your container garden. You will also want to research each plant you would like to grow and see how large it will get. Some will need larger pots than others. Once you have your list and approximate size, it is time to pick your containers. How big is your space overall? How many containers will you add to it? Take these measurements and head to the garden center to determine the containers that will work in the space you have. There is a huge variety available and you can even customize them with a little paint before adding in your plants. Take into account both the plants as well as the size of your space when choosing appropriate containers. You will also want to look for pots that have some sort of dish at the bottom to hold water. Pots outside in the summer can dry out extremely quickly. Want more information on picking containers? See our article here on types of containers and what works well in each! 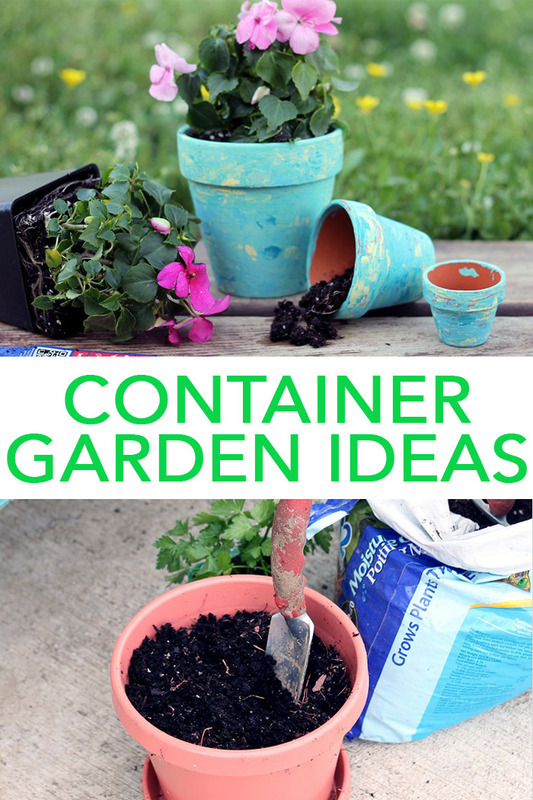 These container garden ideas are great so far but now we get to the fun part! Start with a good quality potting soil to give your plants the best start in life. Pick up either plants or seeds to add to your pots while you are at the garden center. Then take everything home and start adding the plants to your containers. Make time to water everything well once you have planted. A good daily watering of your container garden will make all of the difference in your success. 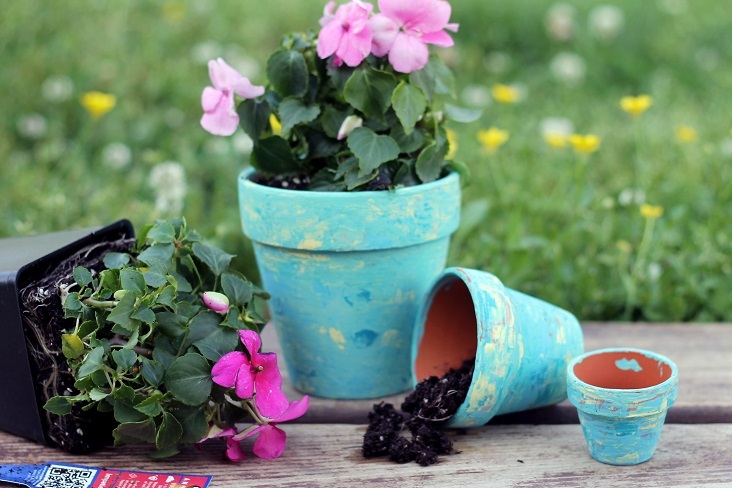 Want to customize those containers before planting? We have ideas for you! Try the links below! Now you can have a ton of fun! Container gardening ideas do not have to be boring. You have the plants in their pots now you can really work on dressing everything up. One great way to do that is with some fun plant markers. Use some plant markers to mark your plants and seeds as you don’t want to forget what you have planted where. A simple craft stick with the name written on in paint pen or permanent marker will work great. You can also get a little more elaborate and decorative with this project. 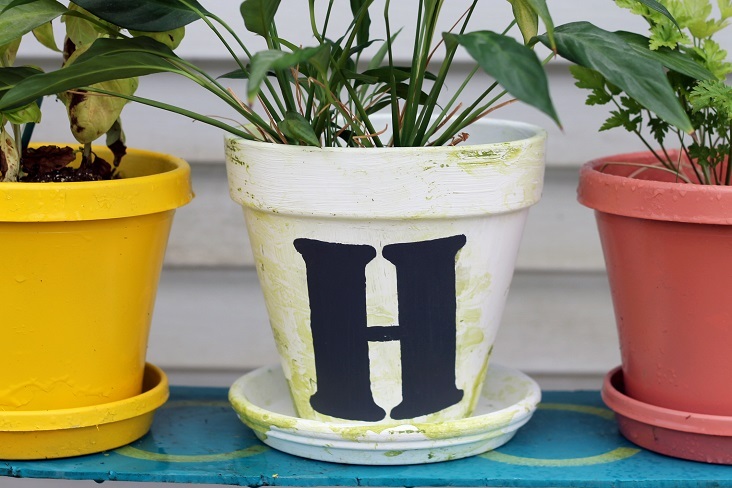 Try the container garden ideas below for some plant markers you will really love! Another great way to add flair is the method you use to make your container garden vertical. This will allow you to use all of the space in your outdoor area plus make your container garden really shine. You can accomplish this by building a plant stand or purchasing one from your local home improvement store. Here we made one that looks like a bench but you can get creative with the style depending on the space you have available. You can see how we made that plant stand here. 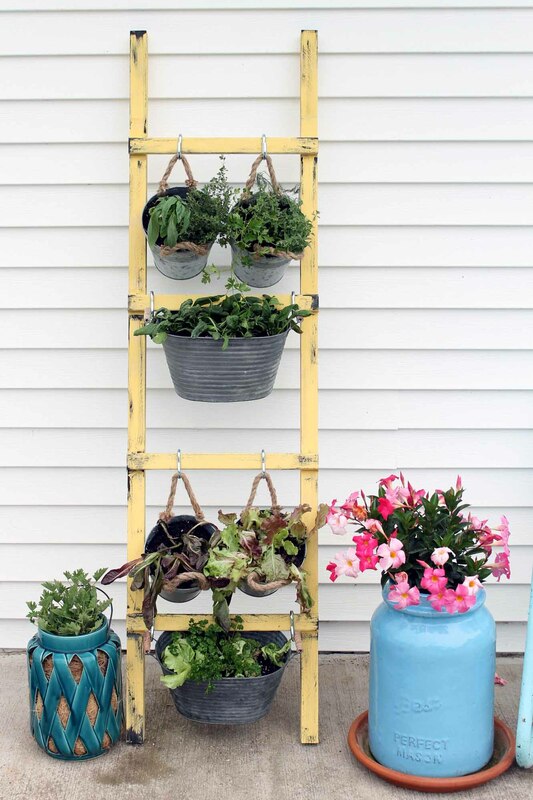 Go unique with your container garden ideas and use a ladder! It is easy to hang various pots from the ladder and super inexpensive. 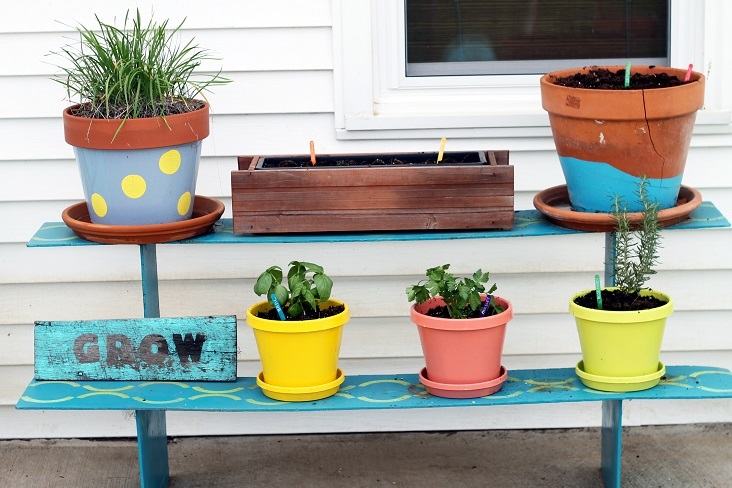 Container vegetable garden ideas like this one are easy to make and look great as well! You can also try hanging your plants on any vertical surface. Walls, fences, and more are perfect for hanging pots. 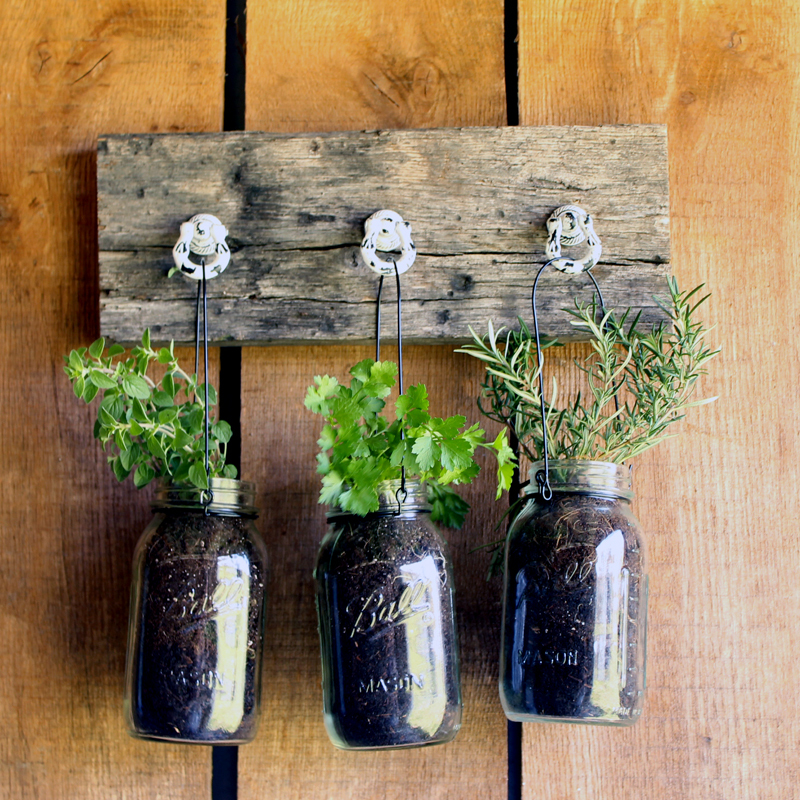 Here we created a mason jar herb garden and hung it on a wood wall. There are a variety of plant hangers available that will make hanging your container garden very easy. Want more hanging container garden ideas? Try the links below! 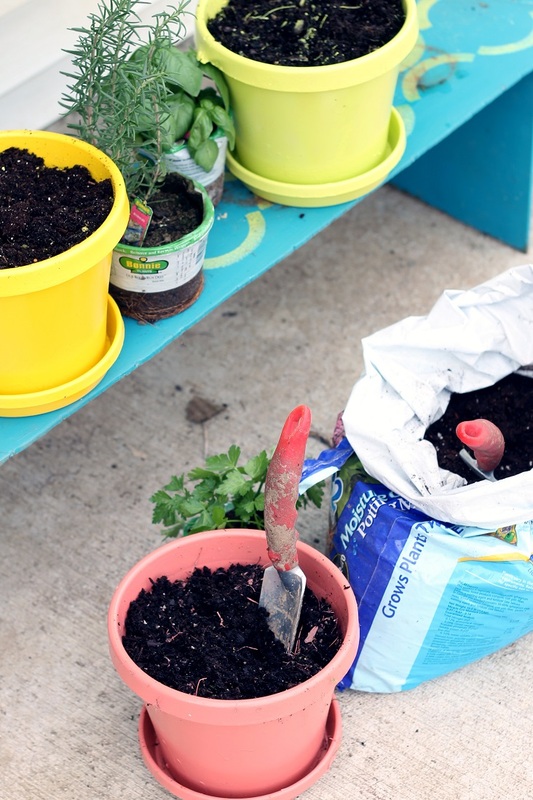 Give these container gardening ideas a try in your outdoor space this summer. You will be growing plants and flowers in no time with a minimum amount of space. Your back porch has never looked better! 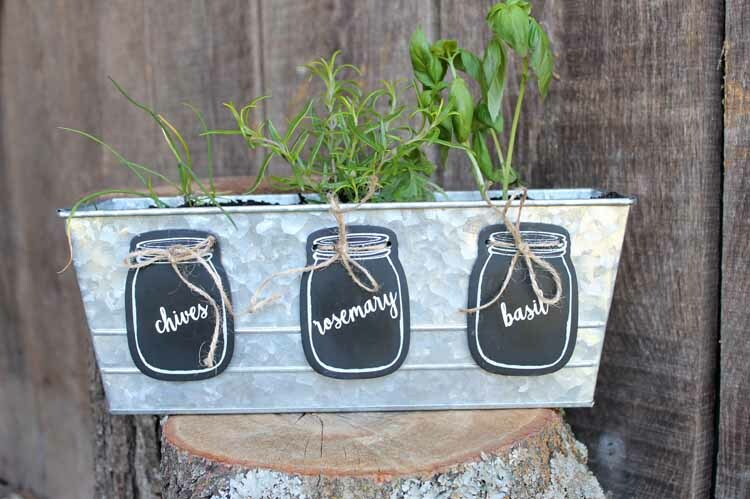 If you have any other container garden ideas, be sure to leave them in the comments as we would love to hear them! previous post: Mod Podge Ultra: How Does It Really Work?